Male cannabis plants sure don’t have the best reputation. In fact, what most growers learn early on is to spot them and toss them out to avoid pollination of their precious ladies. The truth is, male cannabis doesn't deserve its poor image. Before you discard them, learn some good uses for male cannabis plants. Male cannabis plants are normally seen as something undesirable, at least if you ask the average cannabis grower. No one wants their precious crop accidentally pollinated and then ruined, as we’ve learned will happen if we don’t separate the males from the females early on. This negative stigma and the hassle associated with male plants are the reasons that feminized seeds have gained popularity. It’s true, they do make things easy on the grower. The thing is, male cannabis plants don’t really deserve the poor image that they have. They have some valid uses, which you may want to consider before you go tossing them. Here are some of the best ways to use your male cannabis plants. Yes, growing cannabis is awesome, and very few would question such a fact. But growing pretty much the same identical bud from clones may not be the most interesting thing for you, the cannabis enthusiast. 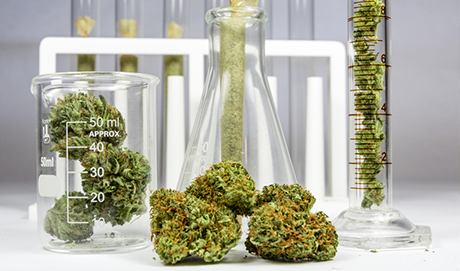 How about breeding your own, top-quality cannabis strains? For more advanced growers, breeding new strains can well become an exciting passion. Imagine creating your own special bud that is more flavourful, more resinous, has better yields, and delivers a better high. You can achieve this when you combine the best qualities of different strains with careful breeding. To do this, however, you need to keep your males! When you start breeding your own top-shelf bud, the male will contribute 50% of the genetic material. It just makes sense that you’d want to select the best male that you have as the donor. HOW TO SELECT A GOOD MALE PLANT FOR BREEDING? We don’t smoke males, so it’s harder to find the perfect plant with the best flavour. Usually, breeders select their male through process of elimination. Here is some criteria to help you determine which one to keep, and which to discard. Don’t use males that grow especially fast or tall. Most of the time, these plants may be lacking when it comes to the quality of their bud. Eliminate those male plants that flower too early, and rid yourself of those that autoflower. Plants that flower at unexpected times may have a higher chance of becoming intersex. One thing that breeders do is select good males based on their stems. Large, hollow stems are normally a good sign, while you should toss those plants with a pithy stem. Experienced growers say there is a positive relationship between the type of stem and THC content. Eliminate those male plants with an airy bud structure and keep those with dense and tightly-packed buds to ensure good yields. A simple sniff test is yet another easy but effective way to find a promising male. Keep those plants that have the best scent. Unlike other plants that can grow both male and female flowers on a single plant, cannabis is what’s called a dioecious plant, which means the females and the males grow separately. Always eliminating the genetically distinct males at the earliest time leads to decreased diversity. The presence of the males is important to the continued strength and vitality of a strain. Many hobby growers use one single feminized strain, or base their entire grow on essentially identical clones. This lack of diversity leads to weakened defences and an increased sensitivity to diseases and pests. There is a distinct difference in the type of fibres that male and female cannabis plants produce. Farmers normally separate them when they desire different plants for different uses. 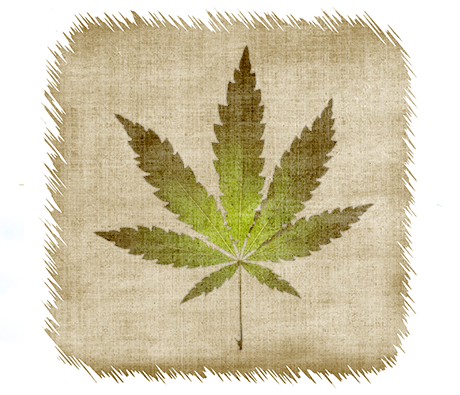 For example, making textiles or other goods from hemp fibre. Fibre from the male hemp plant is more flexible and has a higher resistance, whereas female fibres tend to be sturdier. Because the hemp fibres from males are softer and thinner, they are better suited for high quality cloth like bed linens or towels. The females produce fibre that is rough, which is more suited to making things like canvas and other types of rough textile. Who knows, you may at some point want to get started with textile making! This is definitely another area where you would want to keep your males, as they are especially useful for certain distinct purposes. You don’t always need to smoke cannabis to get some good use out of your plants. Cannabis plants have various natural defences, including their aromatic terpenes, which are great pest repellents. Cannabis really is an excellent companion plant. A few strategically placed male plants between your veggies may be all that’s needed to keep them pest free, without having to use potentially harmful pesticides! If you have a rather large garden, you can potentially locate a dedicated space for your male plants. Keep them as far from your females as you can. You can further help reduce the risk of accidental pollination by planting sunflowers to create a natural barrier between your males and females. This allows you to cultivate incredible, smokable cannabis, without having to toss your male plants in fear of accidental pollination. YOU CAN’T GET HIGH OFF MALE CANNABIS PLANTS? THAT’S A MYTH! 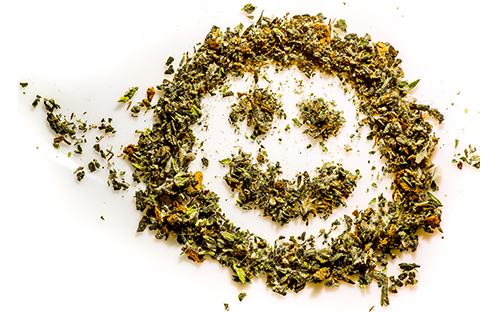 Contrary to what some say, male cannabis plants can get you high. It is not true that males don’t produce any THC. While the male plants will produce less THC in their buds as compared to their female counterparts, their flowers still contain more THC than what is found in the leaves of females. Cannabis growers normally have good uses for the leftover sugar leaves from their female plants come harvest. Sugar leaves are great for making hash, cannabutter, and other concentrates. You can also use your male plants for those very same purposes! Most of the resin in males is located in the sepals and those locations where pollen is produced. There is also a good amount of THC in the small leaves. No reason to toss out all this goodness! 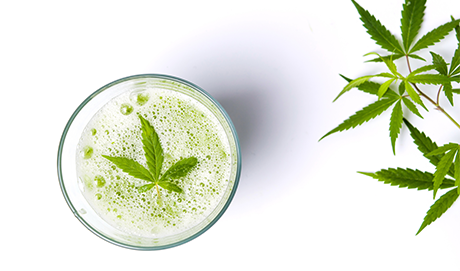 Cannabis juice acts as a great vessel for delivering the benefits of cannabinoids like CBD without the high or other unwanted side-effects. If you want to have it really simple, you can also make a tea from the leaves of your male plant. Male cannabis plants really don’t deserve their bad reputation. They have numerous good uses, from breeding new strains to making your own cannabis-based health drinks, or for crafting high-quality hemp material. But the benefit of keeping male plants goes beyond these criteria and really serves a greater purpose. Eliminating male plants poses a great risk to the healthy diversity and therefore, sustainability of cannabis as a whole. A similar example can be observed with bananas and other selectively bred plants. By breeding them into a few commercially-appealing types, bananas as we know them are now on the path to extinction. The same has already happened with corn and wheat. 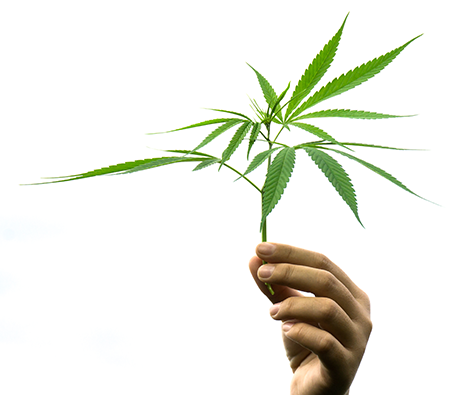 By keeping the male cannabis plants, we’re actively helping to support cannabis’ continued genetic survival. If we ignore the importance of this for the sake of convenience, some strains may just disappear.